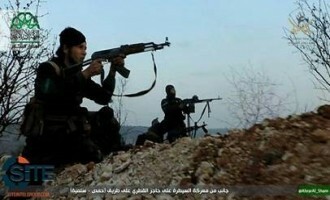 Hay'at Tahrir al-Sham (HTS) reported engaging in numerous clashes with Ahrar al-Sham and Nour al-Din Zinki, the leading groups within the Jabhat Tahrir Suriya (JTS) umbrella, and gaining control of several villages in the countryside of Aleppo and Idlib. Ahrar al-Sham Islamic Movement’s new general commander Hassan Sufan announced major changes within thegroup’s leadership, appointing four figures to replace his current First Deputy Leader, General Military Commander, Chief of the Political Wing, and Secretary General. 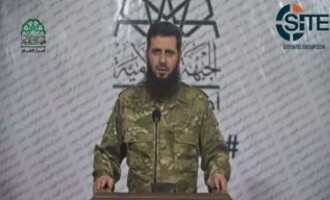 Hassan Sufan, the newly appointed general commander of Ahrar al-Sham Islamic Movement, apologized to the Syrian people for the group’s loss of vision “in trivial disputes,” and promised to continue to keep the revolution alive by fighting the regime and the Islamic State (IS). Ahrar al-Sham Islamic Movement’s Shura Council announced appointing Hassan Sufan (Abu al-Bara) as the group’s new general commander. 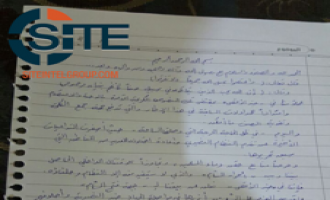 Australian cleric and former Jabhat Fateh al-Sham (JFS) official Mostafa Mahamed Farag (AKA Abu Sulayman al-Muhajir) released a statement in which he deliberated on the infighting between Ahrar al-Sham and Hay’at Tahrir al-Sham (HTS), calling it “existential” and explained why it is immoral as per His view of Islamic Shariah. With ongoing tensions between Hay’at Tahrir al-Sham (HTS) and Ahrar al-Sham in past weeks ultimately erupting in violence, Ahrar al-Sham has reportedly launched coordinated attacks against HTS, with its fighters storming and taking control over cities and villages throughout Idlib. 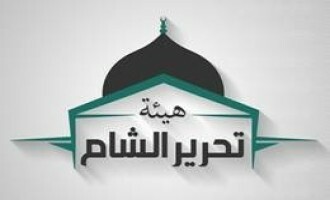 Ahrar al-Sham Islamic Movement announced the formation of an operation room in the countryside of Hama and gaining control of several villages in the area, and claimed attacking the pro-regime militia forces in Latakkia and Damascus. Ahrar al-Sham Islamic Movement claimed gaining control of a mountain range in Eastern Qalamoun following clashes against the Islamic State (IS). 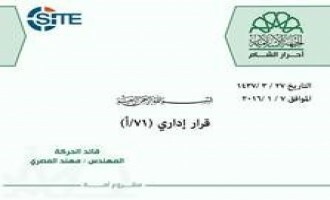 Ahrar al-Sham Islamic Movement condemned the suicide bombing which caused over 25 civilian casualties and over 60 injuries in Damascus on March 15, 2017, and blamed the Syrian regime for the attack. 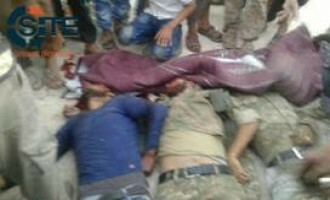 Ahrar al-Sham Islamic Movement claimed killing an unidentified number of pro-regime militia forces in attacks carried out in Aleppo and in northern Damascus. 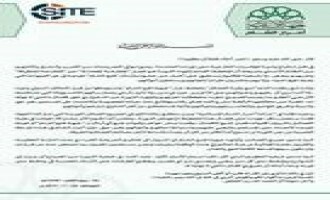 Tahrir al-Sham released a statement to reprimand Ahrar al-Sham Islamic Movement for failing the Syrian revolution and bringing it to a deadlock by refraining from merging into one common entity and by instigating internal fights within the Tahrir al-Sham organization. 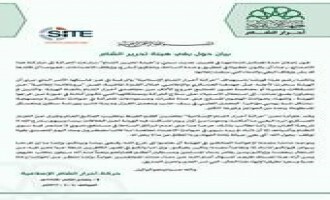 Ahrar al-Sham Islamic Movement condemned Tahrir al-Sham’s “systematic” intimidation of the group, and renewed its call for an arbitration between the parties in an independent Sharia court. Ahrar al-Sham Islamic Movement claimed killing 25 pro-regime militia forces in clashes at al-Qatari checkpoint on Homs-Salmeyya highway. 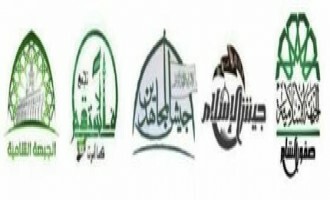 Three of the most significant rebel factions in Syria – Tahrir al-Sham, Ahrar al-Sham Islamic Movement, and Faylaq al-Sham – announced forming a Shura Council for the city of Ma’rat al-Numan, in the countryside of Idlib, to help protect and develop the city. Ahrar al-Sham Islamic Movement announced 955 defections from the group in an infographic containing a breakdown by location and status. 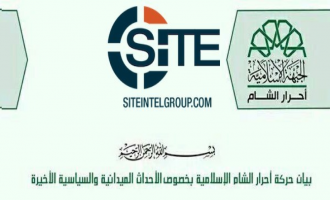 Ahrar al-Sham Islamic Movement released a weekly report of the group’s military operations in Hama, Latakkia, Aleppo, and eastern al-Ghouta, during which it claimed attacks against the regime and pro-regime militia forces as well as the IS. Ahrar al-Sham Islamic Movement released a video of a graduation group from al-Shaheed Abu Nur Training Camp in the northern countryside of Aleppo in which the group pledged to “destroy” the regime and the Islamic State (IS). 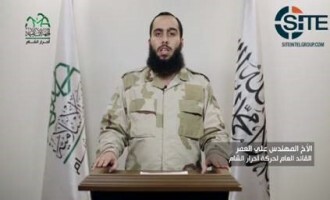 Ali al-Omar, the General Commander of Ahrar al-Sham Islamic Movement, released a video statement discussing the situation in Syria, the course of the revolution, and the recent mergers, and urged Abu Jaber, the commander of the newly formed Tahrir al-Sham Assembly, to agree to an arbitration in order to resolve hostilities among rebel factions. The Shura Council of Ahrar al-Sham Islamic Movement announced the group will not participate in the negotiations in Asetana for several reasons, including the failure in fulfilment of the ceasefire and internal disagreements amongst the opposition factions. Ahrar al-Sham Islamic Movement released a video featuring group fighters who explained the significant improvement in their military skills as a result of joining a training camp, and declared the Syrian regime and the pro-regime militias will soon be defeated. 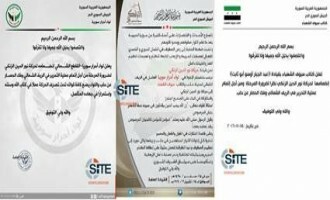 Syrian rebel groups released announcements of mergers in an attempt to unite forces against the Syrian regime and its allies amidst severe airstrikes which presented nearly complete control to the regime in Aleppo. Groups within the Jaish al-Fath coalition reported capturing various areas previously lost to the regime forces in Aleppo, while killing “dozens” during clashes. 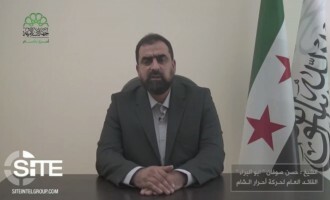 Ali al-Omar, the newly appointed General Commander of Ahrar al-Sham Islamic Movement, released a video speech in which he stressed the significance of resisting and fighting against the common enemy, and called upon all rebel factions and civilians to unite for the success of the Syrian revolution. 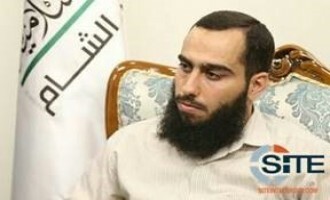 The Shura Council of Ahrar al-Sham Islamic Movement announced the appointment of the group’s new general commander, Abu Ammar al-Omar. 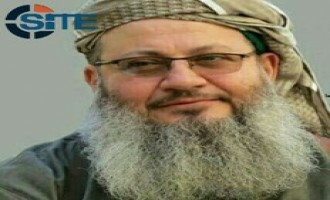 Ahrar al-Sham Islamic Movement announced the death of Abu Harith, the group’s military commander of Aleppo City, in battles against the pro-regime militia forces in al-Shaikh S’aeed Front. Noor al-Dine al-Zanki Movement welcomed Jaish al-Shamal to its ranks in the northern countryside of Aleppo. Rebel groups operating in the northern countryside of Aleppo announced a merger with Ahrar al-Sham Islamic Movement and Noor al-Dine al-Zanki in an attempt to fight the regime, its allies, and the Islamic State (IS) as a unified force, and to help lift the siege of Aleppo. 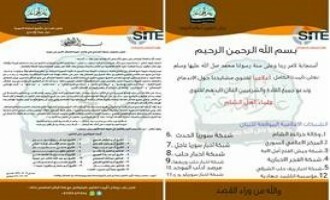 Ahrar al-Sham and Levantine Front announced the formation of a committee appointed to resolve the disparities between the two parties in Azaz, in Northern Aleppo. Ahrar al-Sham Islamic Movement released training footage from its military camp of Fateh al-Ghouta and its infantry units in Homs. Ahrar al-Sham Islamic Movement released a video showing the training of its graduates from the “Lions of War” course at the group’s Fateh al-Ghouta Camp. Ahrar al-Sham Islamic Movement released a photo report showing the first graduates of its “Reserve Power” camp in Homs. Ahrar al-Sham Islamic Movement released a video of the group’s leader Muhannad al-Masri giving a speech on the dissolution of Jund al-Aqsa. 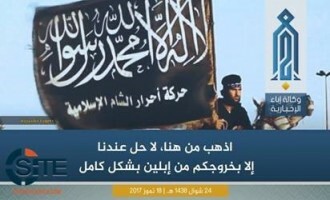 As the conflict between the two Syrian militant factions escalate, the Ahrar al-Sham Islamic Movement accused Jund al-Aqsa of ties to the Islamic State (IS), among other charges, and Jund al-Aqsa rejected the claim and threatened action. Ahrar al-Sham Islamic Movement published a photo report of a graduating group from the Central Force Camp named after its “martyred” commander, Azzam Jumu’a al-Latoof. 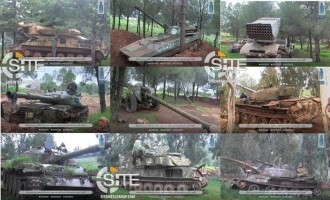 Rebel groups participating in the campaign dedicated to “lifting the siege of Aleppo” claimed seizing factories in Ramousah, and repelling an attempted advance by the regime and pro-regime militia forces in Mahrouqat Hill. 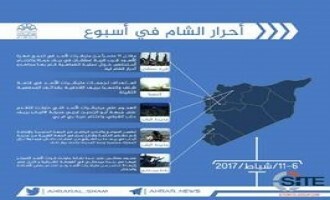 Ahrar al-Sham Islamic Movement claimed targeting Hama’s Military Airbase used by the Russian forces and reported battles with the Shiite militia in al-Zara and Hirbnefsah, the two villages in the countryside of Hama, which the regime has made multiple attempts to advance over in the past month. 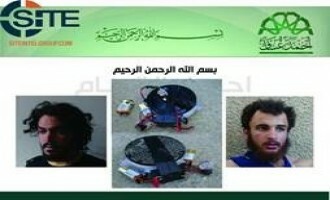 Ahrar al-Sham Islamic Movement claimed capturing two Islamic State (IS) cell members planning attacks on Ahrar al-Sham and Nusra Front (NF) fighters in the city of Binnish, northeast of Idlib. 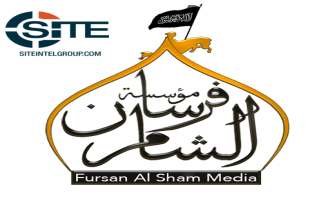 The Syrian rebel group Jaish al-Sham announced rejoining the Ahrar al-Sham Islamic Movement with a common goal to fight against the Syrian regime and pro-regime forces, and to “eradicate” the Islamic State (IS). 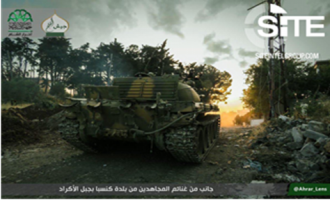 The Ahrar al-Sham Islamic Movement released a series of videos and images of fighters recapturing Mount al-Akrad and al-Hadadah hill from Syrian Regime forces in northern Lattakia. Ahrar al-Sham Islamic Movement released a video from the countryside of Aleppo inciting youth to wage jihad on fronts in Syria. Ahrar al-Sham Islamic Movement announced that a Syrian rebel faction called the “Haritan Battalions Union” has joined the group in response to the call to unite the ranks against the common enemy, and to support the revolution of the Syrian people. The Ahrar al-Sham Islamic Movement, a leading Islamist opposition faction in Syria, released a promotional video showing fighters training in the Idlib countryside. Ahrar al-Sham Islamic Movement released a video from Khan Tuman front, in the western countryside of Aleppo, inciting the group to battle in the area. Ahrar al-Sham Islamic Movement released a visual chant calling for the elimination of the Islamic State (IS) due to the group’s radical ideology. Ahrar al-Sham Islamic Movement published a video explaining the stages of the discovery of Islamic State (IS) cells in Idlib, and providing confessions by captives that were involved in their operations. Ahrar al-Sham Islamic Movement released its second video showing members of the group learning computer programs in order to fill administrative roles. 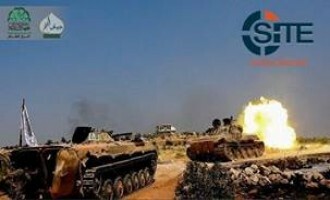 Ahrar al-Sham, Jaish al-Islam, Jaish al-Nasr, and other Syrian opposition factions claimed launching a large campaign on the Syrian forces in northern Hama, in response to the attacks by the regime and pro-regime militia on the villages in Lattakia and al-Sahel [the Coast] area. 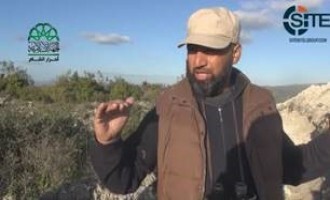 In a video release by Ahrar al-Sham Islamic Movement, a field commander discussed the latest developments in the countryside of Lattakia, and asserted the group will continue to its battles. 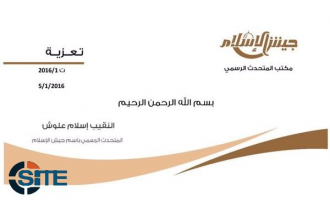 Ahrar al-Sham Islamic Movement released a video showing the training of its members for the group’s “administrative cadre” intended to help better understand the needs of the group. Ahrar al-Sham Islamic Movement released a “promo” video in which the group claimed seizing a youth residence in al-Ashrafiya neighborhood in Aleppo as retaliation for the regime’s violations on Castillo road, a main supply route. 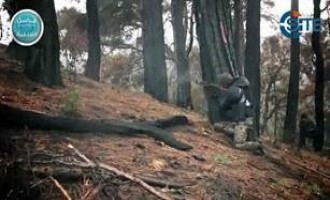 Ahrar al-Sham Islamic Movement released a video on its “al-Za’eer [lion’s roar] Camp in the South,” featuring Ahrar al-Sham fighters participating in physical and military training. 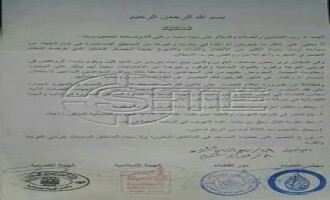 The Hama sector of Jaish al-Sunnah (Sunnah Army) announced merging into Ahrar al-Sham Islamic Movement to form the Iman Brigade in Hama. Ahrar al-Sham Islamic Movement produced a video taking a poll of Syrian civilians’ positions concerning the recent ceasefire with regime forces brokered by the United States and Russia. Ahrar al-Sham Islamic Movement claimed killing high-ranking Russian generals in a car bomb attack carried out in Snobar Jableh near Lattakia. Ahrar al-Sham Islamic Movement claimed seizing eight military points from Jaish al-Thouwar [Army of the Rebels] and the PKK in the city of Aleppo. 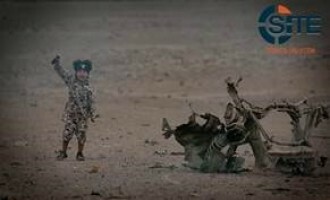 A child of an Islamic State (IS) fighter killed by coalition aircraft is shown in a video implementing the remote-detonated of an explosives-laden vehicle containing three spies. 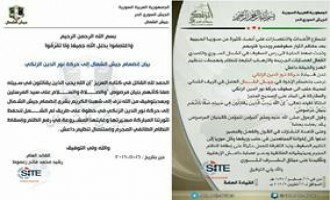 A statement signed by judicial parties representing Ahrar al-Sham and Jaish al-Fath, and al-Qadha Courts declared the trafficking of food and other supplies to Shiites in the villages of al-Fu’ah and Kafriya as offences to be punishable by the death penalty. 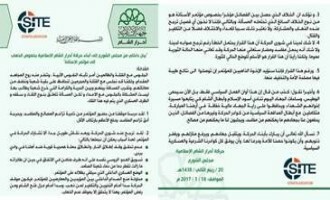 Ahrar al-Sham Islamic Movement announced their withdrawal from the Geneva conference due to the ongoing attacks on civilians and rebels in Syria, and called upon all opposition factions to unite under the Ahrar al-Sham banner. Prominent Syrian opposition groups announced joining ranks under a campaign they called “Aligning the Ranks,” and claimed seizing several villages and hills from the regime in the countryside of Lattakia. The Ahrar al-Sham Islamic Movement published a video featuring civilian victims of Russian airstrikes, alleging that their intended target, the Islamic State (IS), is not often being hit. Ahrar al-Sham Islamic Movement claimed to have attacked the Syrian regime and militia forces on the front of Hirbnafsah, in the southern countryside of Hama. 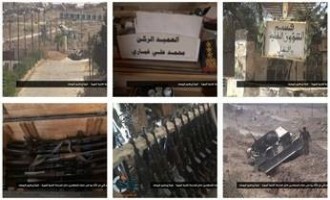 The group shared two videos featuring the clashes along with the claims on Twitter and Telegram channels on January 13-14, 2016. The Ahrar al-Sham Islamic Movement released a statement announcing Abu Omar al-Ansari as the successor of the martyred Homs commander, Abu Rateb al-Homsi. Neither a death of a commander will stop it nor the loss of a mujahid, even a sword in this Ummah wouldn’t be sheathed until another one replaces it. And a commander would be gone to be next to his Lord, but after Allah prepares his successor to bridge the gap. 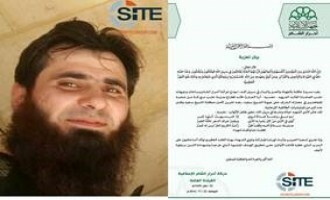 The Ahrar al-Sham Islamic Movement confirmed the death of Abu Rateb Abu Ezz al-Din (Abu Rateb al-Homsi), a high-ranking member of the group in Syria’s Homs governorate. 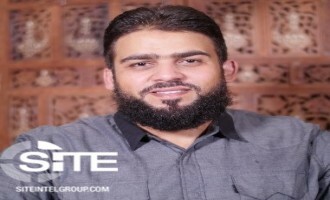 Social media accounts associated with the Ahrar al-Sham Islamic Movement announced the death of Abu Rateb Abu Ezz al-Din, the group’s commander for Syria’s Homs governorate. The Ahrar al-Sham Islamic Movement in Syria claimed attacks on al-Assad militia as part of the activity within al-Houla Operations Room. 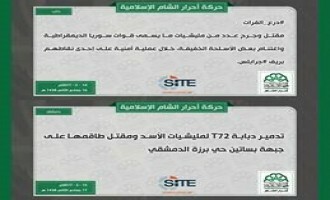 The Ahrar al-Sham Islamic Movement in Syria claimed to have targeted the pro-regime militia forces in western Ghouta. The Ahrar al-Sham Islamic Movement in Syria reported attacks on the Syrian regime supported by pro-regime militia forces in the southern and northern countryside of Aleppo. The Ahrar al-Sham Islamic Movement in Syria released a video of citizens in Aleppo sharing critiques and condemnations of the Islamic State (IS).